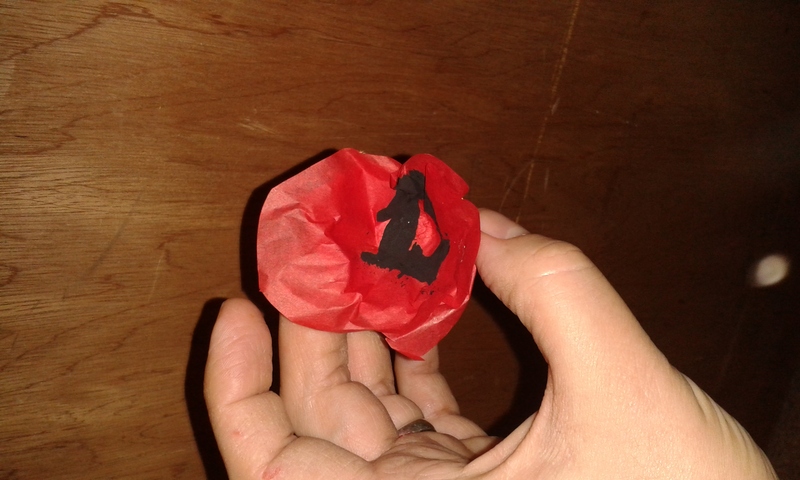 It’s hard when your child first asks what the pretty poppies are for. But ask they will eventually and we have gently told ours that a long time ago, brave people like their gret-grandparents worked hard to keep our country safe from bad people and some of them got hurt or died. 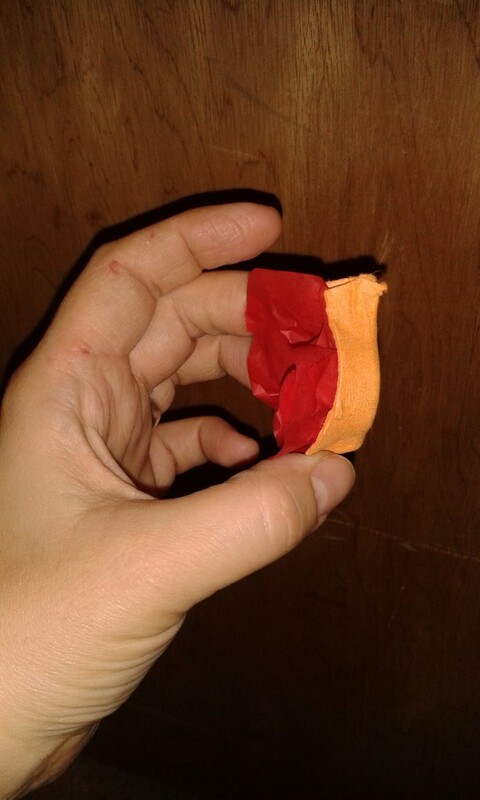 This poppy craft helps give them some time to ask questions at their own level without us telling them more they can handle yet. 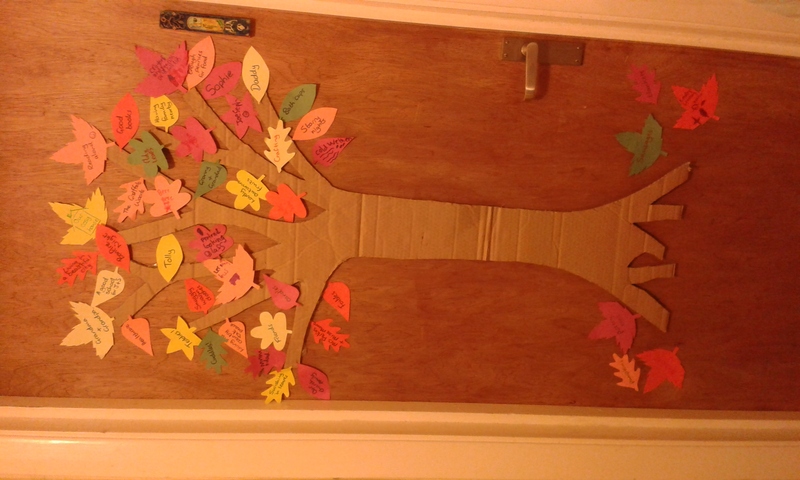 We’ve done a thanksgiving tree for the past three Novembers, adding leaves during the month as a focus on gratitude. We hold a big thanksgiving dinner at the end which I wrote about here and the kids are now old enough to join in. It isn’t anything to do with America (although we do eat turkey because we happen to like it, just a celebration and chance to give thanks for all the goodness in our lives. 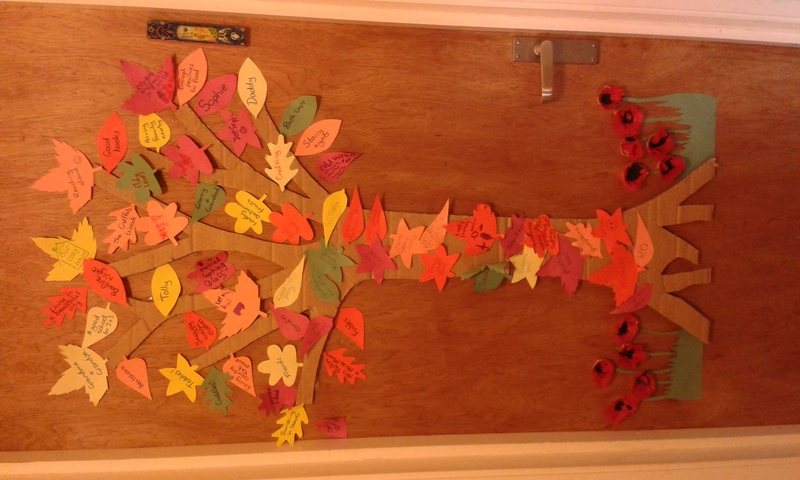 I decided therefore to put the poppies at the base of the tree and to include gratitude for our freedom as part of November. That should explain the pics! 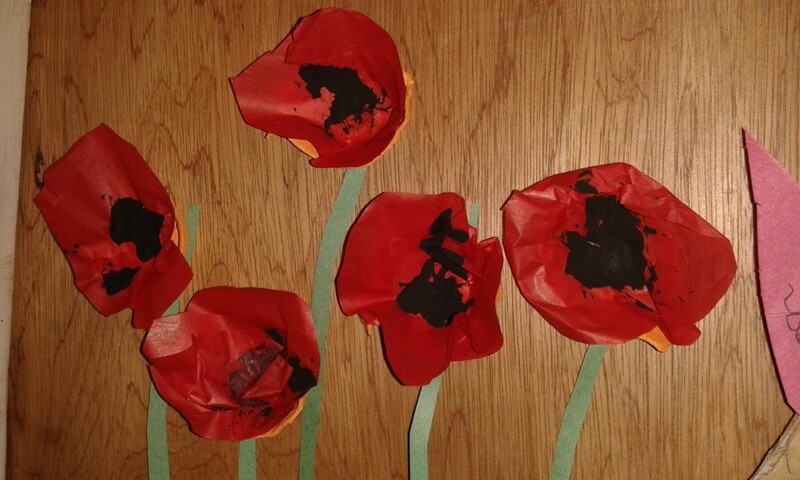 The poppies were really easy to make. 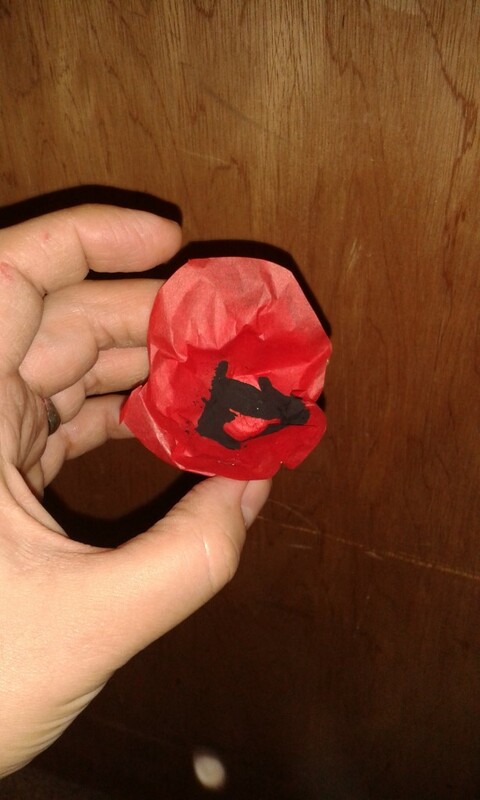 The poppy is held together at the back with the base, maybe the bottom 1/2cm or so, of one of th cups from a cardboard egg box. 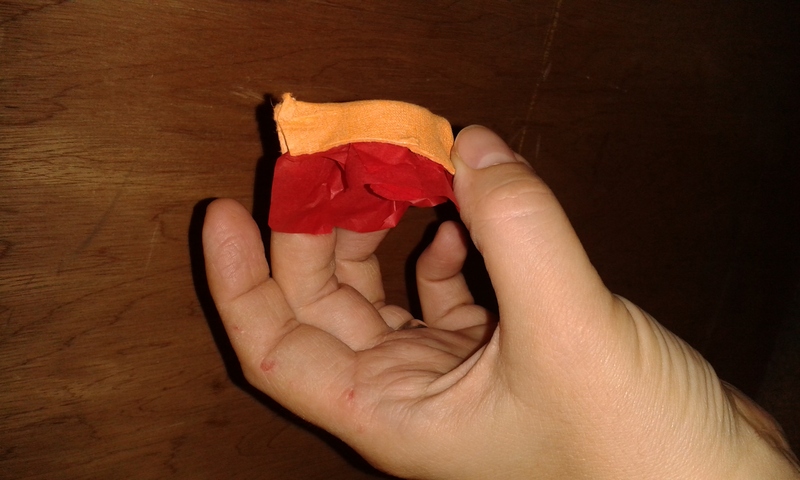 We then glued on a double layer of red tissue paper in a not-too-carefully-cut-out fat oval shape. We used glue stick to stick down each layer. 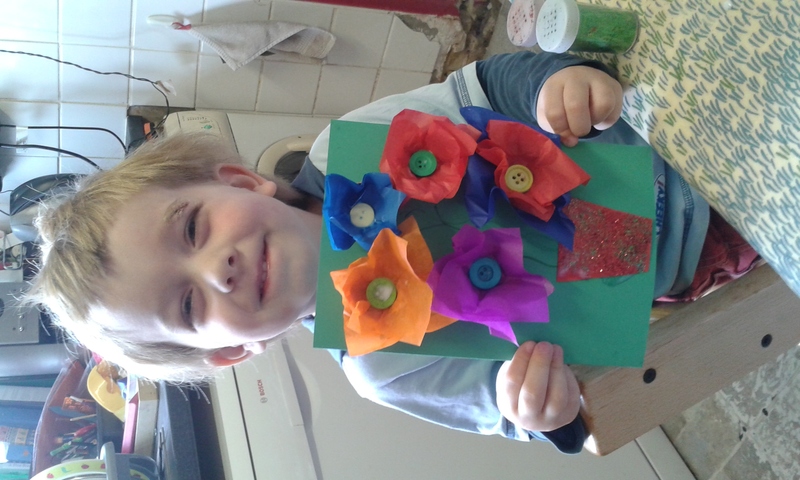 My son then dabbed black paint into the centre but you could use black buttons, I’ve actually included a pic of some similar flowers we made for a Mothering Sunday card for Granny in the spring which worked the same way with multi-coloured flowers. 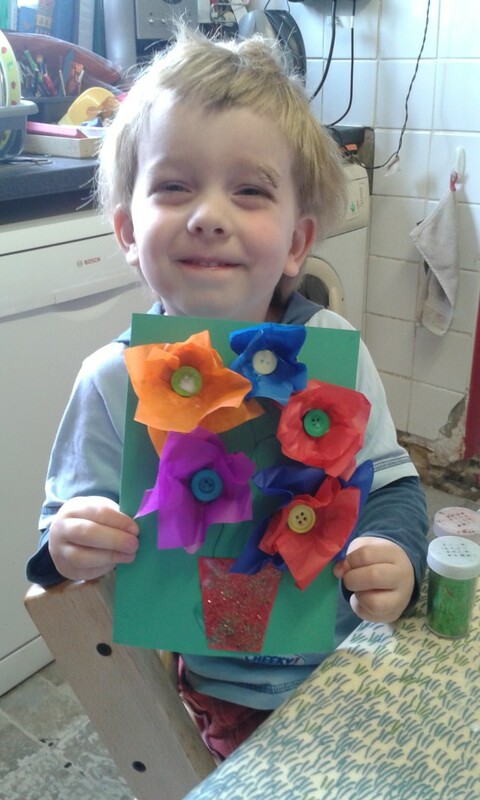 Mothering Sunday flowers for Granny and Grandma. Why the weird face? I dunno! Mothering Sunday flowers. 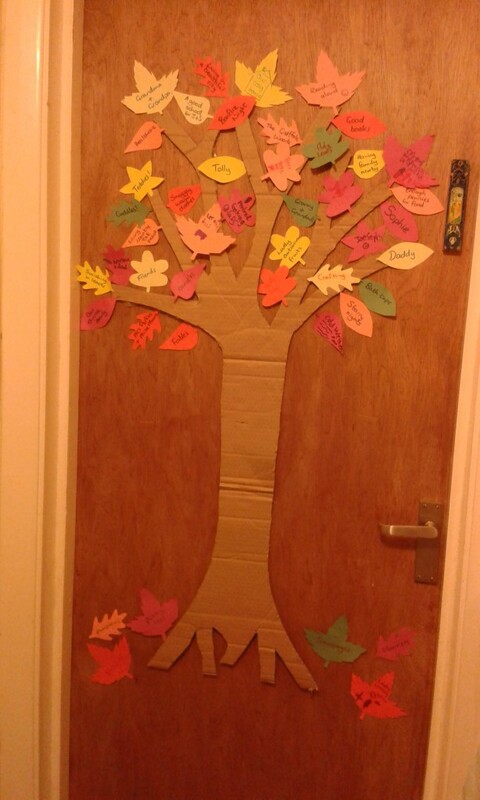 I cut out the grass and leaves free-hand and then we blu-tacked everything to the door under the tree. By this stage the tree has gone a little mad. Here’s the full effect! 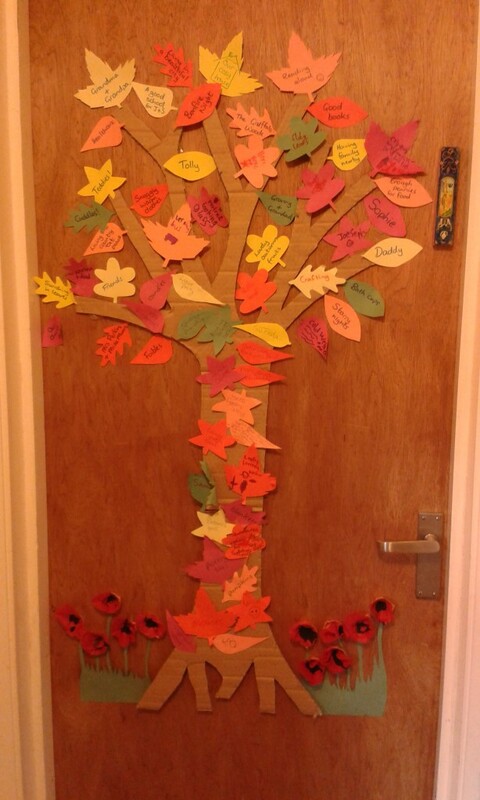 A tree laden with gratitude, including for those who served our country. It was worth finding out from school in advance in which year they started discussing Remembrance Day (in ours it’s in year 1) as it can be a delicate discussion depending on your child’s personality and you might be able to put it off by a year. I also went to buy poppies from the stand in Sainsburys with the children and we thanked the people collecting and I explained where the money went. 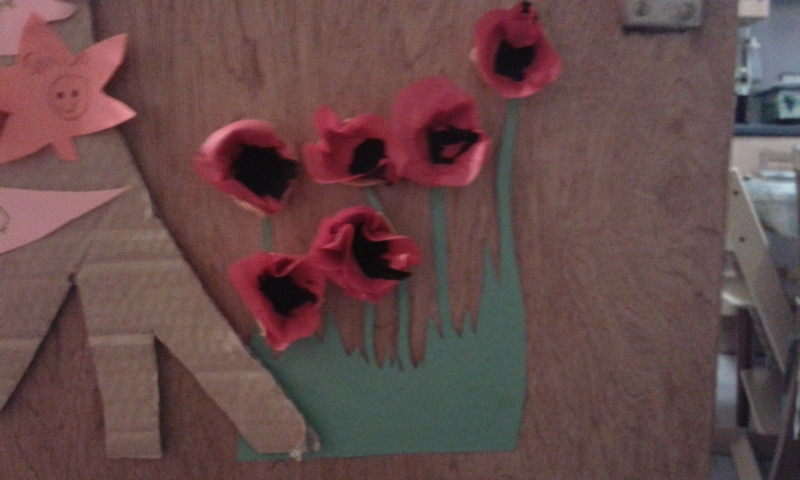 The children got snap bands rather than paper poppies which always go flying off somewhere. However, the best discussion/activity idea I found which was actually created for assemblies was here. It is really beautiful and creative and works towards a message of hope and reconciliation. Awesome and well done to Flame Creative. I pray that you have peaceful and fruitful discussions with your children as you mark Remembrance Day.